Mobile phones have in many ways revolutionized many of the functionalities in the modern technological era we are living in right now. From connecting far apart distances together to virtually keep yourselves updated right at your fingertips. One such feature of mobile phone is the text messages by which we can converse with people far apart using minimal efforts. As you must have guessed by now the topic for today’s discussion in this article and that being the ways with which can recover deleted phone messages and that too specifically of iPhone which a status symbol is indeed and a decent phone to buy these days. Then in the later part of this article we will also shift our focus to a more reliable software on which we can bank on to retrieve our deleted iPhone messages with convenience and without having expended unwanted time and energy towards unreliable and not to secure sources. Hence without much ado let’s begin the article by discussing some of the usual accepted ways of recovering deleting iPhone messages. You can use the iCloud Backup feature to restore your deleted texts. If you allowed automatic sync of your iPhone content to your iCloud then you can use this feature to restore your lost messages. On your iPhone tap on Settings -> Manage Storage -> Backup and there you go. You will be able to see if there are any old backups which were made in the past using which you will can retrieve the messages. The only drawback of this feature is that you need to restore your iPhone to factory settings after the Backup which means that all the current data and settings will be erased off your phone. Hence you have to consider the overhead of keeping the backup of your current phone state before going into a backup selection of any past point. Another way to recover deleted messages on iPhone is through your iCloud website. You will have to follow the following steps to be able to stand a chance to pacify your needs. Log into icloud.com using your own apple id. After the site has opened click on the Text Messages icon. The absence of this icon indicates that there aren’t backed up text messages. If this is the case then you are helpless otherwise continue with step 3. Go to Settings -> your name -> iCloud. Then click on the toggle button to turn off text messages or make sure that they are already in the off state. After doing it you will see a pop-up. Select “Keep on my iPhone”. Now turn your text messages back on. Click on “Merge”. You will notice that after waiting for some time the old text messages will come back into the storage of your phone and you will be able to see them in your message directory. Some, not all, phone providers keep a log of all your text messages not from a sinister point of view but rather from a security concern. However, eerie this concept might sound but if have had tough luck in recovering your text messages by the various methods mentioned above then as a last resort you can try contacting your phone provider and tell the authority over there your issue so that they might be in a position to help you. Now you can also use some third-party application to perform the task of recovering your deleted text messages and for some users this might also be the most reliable and convenient ways to solve the giant issue. 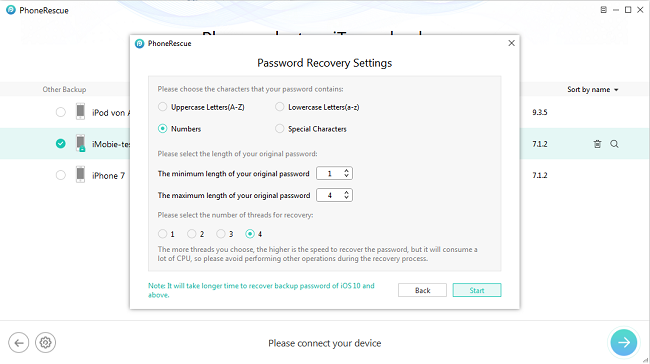 So, in today’s blog we will be weighing the pros and cons of a software by the name of PhoneRescue by iMobie using which you can easily recover you deleted messages. The software is easy to use and User interface is aptly designed and does give it a complicated look and feel and thus fastens the process of message recovery. 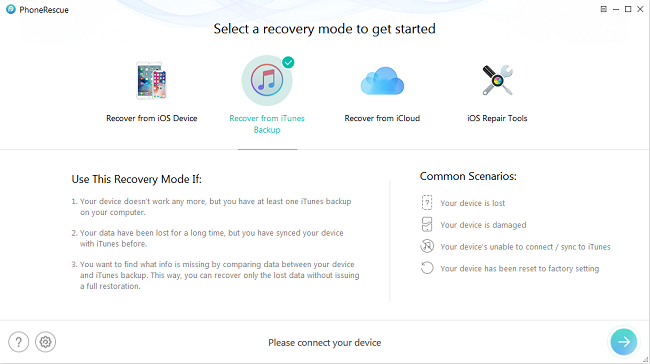 Basically, there are three modes by which you can recover this software and that are recover from IOS device, recover from iCloud and recover from iTunes backup. There are basically three modes of recovering your lost content and one mode of repairing any bugs or anything with your iOS device. The software can work even without connecting your IOS device with your laptop or system which is a relief for the users who have a faulty phone or any other connectivity issue. The quality of the files recovered is high and you can directly save them to your system or get them back on your phone. Hence when it comes to Effectiveness PhoneRescue stands at 4.5/5. The support is good, and the users have given a feedback that the respective customer care service is prompt at handling the issues of its users via email. Hence, the software deserves a rating of 4/5 in support and Maintenance. Not only does PhoneRescue recover deleted text messages on your IOS device but it can also help in recovering any other deleted file of any type be it contacts, notes, photos etc. 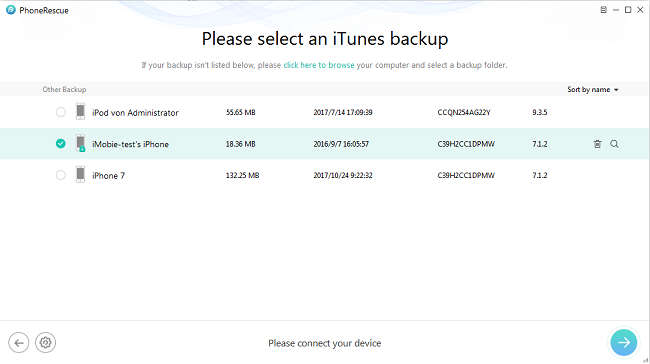 You can even recover your iTunes backup password using this software. It covers all possible permutations of the specific password until it matches with your phone’s password. The software is cross platform and work both on MAC and Windows. Hence, when it comes to cumulation of features PhoneRescue stands at 4/5. One of the few things to put a little frown on the user’s face is that the pro version is a little costly not too much though and starts at around 50$ which is a onetime payment after which you can enjoy all the features of the software unhindered. While recovering your specific deleted content, PhoneRescue also recovers a large amount of content which is completely useless like icon images, useless text files, audio etc. This sometimes takes too long for the actual content to be fetched. 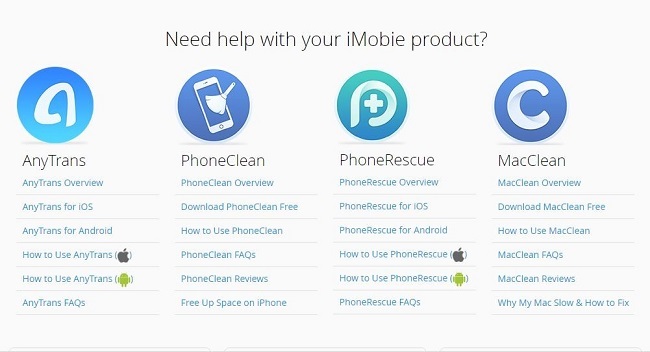 Hence when it comes to recover your deleting iPhone messages then PhoneRescue is a must have product. You can download PhoneRescure if you haven't done till yet. And if you are planning to recover a huge amount of data from several devices then going with the pro version would also be a good investment. Hope this article puts a full stop to the question in your mind with which you started to read this blog. Until then stay updated and stay ahead.